Keeping greens fresh…it can be an issue if you’re not growing them yourself, and therefore can’t pick them as you need them. I’d been reading about cloth bags, made in Toowoomba too I think, from natural fibers that are said to keep greens fresher longer than plastic. This I had to try, especially as we’ve got a massive roll of natural linen just waiting to be converted into something creative! Before I go any further, I will say that this experiment is not over. I’ve only tried one type of plant, and tried it in the coldest part of our fridge-the meat drawer (because the veggie drawer was full already!). To really know how effective this is, I’ll need to try other greens and in warmer areas of our fridge. 3 bags. 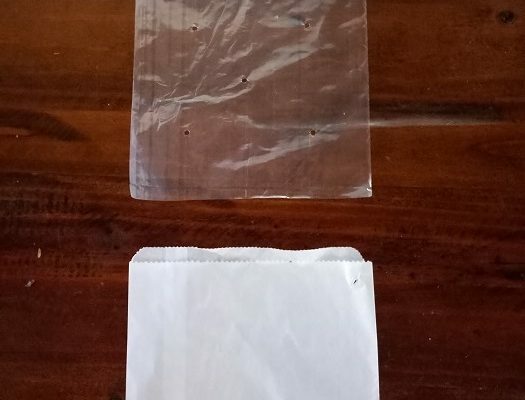 One a plastic bag (with aeration holes), one a standard paper bag and one a 100% natural linen drawstring bag. 3 bunches of parsley picked at the same time and of roughly similar size and condition. All the bags were sealed with a rubber band with the parsley inside, and placed in our meat drawer for 8 days. The meat drawer typically sits at 1.5 degrees C (I know this because Farmer Rick is also an engineer, and engineers do weird stuff like keeping thermometers in their fridge ‘just because’!!). It’s a bit sad to see the parsley from the linen bag is actually the limpest and most lifeless. Bummer. The paper bag was only slightly better. The winner in this case was the aerated plastic bag! I’m not a plastic fan, so wasn’t thrilled with the result, but that’s how it goes in this case. Hopefully sometime soon I’ll try again in a warmer area of the fridge, with other greens. And maybe for less than 8 days…that’s a long time to leave herbs in the fridge! 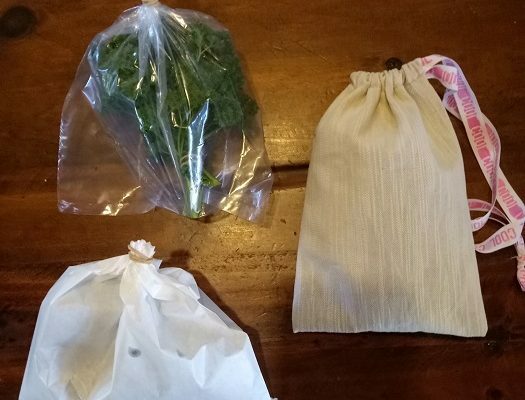 Has anyone else tried fabric bags for greens/herbs? Racheal, the Greenleaf bags are made out of hemp and it is recommended to keep them damp to wet in the fridge and to wash them weekly. I haven’t tried my new one as yet as I am going to take it to the next Simple Living Toowoomba workshop. Hopefully it will work well. Thanks Michele 🙂 Rick thought wetting it might help too. If you’re using it fairly soon that should be fine, but I’m wondering about the mold risk of a wet bag in the fridge for too long?? Racheal, if the bags are washed weekly and hung in the sun to dry they should be fine. Give it a try and see how you go. I know hemp was chosen for these bags for a special reason so I should go and read up more about that when I get a chance. Interesting experiment Racheal. Article and comments inspired me to research options. Healthwise plastic doesn’t appeal. Hemp bags sound good, however very expensive at $37/bag. 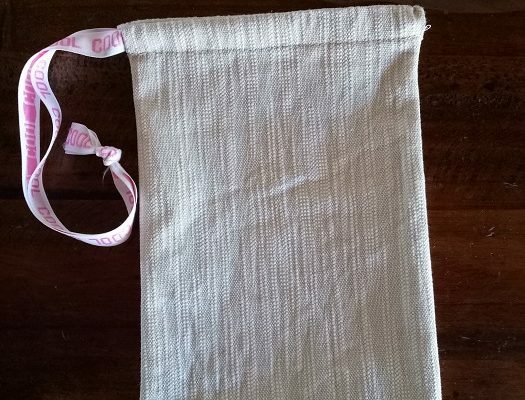 (here: http://www.greenleafbag.com/fresh-produce-enhancer/) Wonder if damp cotton/linen would work as well as the hemp?